As the BP Oil Spill civil trial begins this week, the Federal Government will attempt to prove whether British Petroleum (BP) and/or any of its contractors such as Transocean (RIG), the owner and operator of the Deepwater Horizon oil rig, and Halliburton (HAL), which was responsible for pouring the cement plugs in the well, were “grossly negligent” and thus financially liable in causing the deadly BP Deepwater Horizon offshore oil rig explosion on April 10, 2010, and the blowout of the Macondo well. Image: Explosion of the BP Deepwater Horizon rig at the Macondo prospect well. Photo credit: Associated Press. The initial explosion killed 11 oil rig workers and triggered a subsequent oil spill which dumped millions of barrels of crude oil into the Gulf of Mexico, with the full extent of the long-term ecological and economic damage to the Gulf states and aquatic and wildlife still unknown. With tar balls linked to the BP oil spill still washing ashore from Louisiana and Alabama to as far away as Australia, if BP is found “grossly negligent” instead of “simply negligent,” it will be on the hook for $17.6 billion in additional clean-up costs on top of the $4.5 billion fine for the criminal case settled in November 2012. 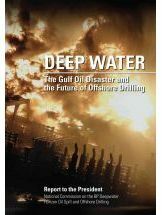 2) Deep Water: The Gulf Oil Disaster and the Future of Offshore Drilling, Report to the President, January 2011. Established by Executive Order 13543 on May 21, 2010 by President Barack Obama, the mission of the National Commission on the BP Deep Water Horizon Oil Spill and Offshore Drilling Commission was to examine the relevant facts and circumstances concerning the root causes of the Deepwater Horizon explosion and develop options to guard against, and mitigate the impact of, any oil spills associated with offshore drilling in the future. In addition, they were to recommend any needed improvements to Federal laws, regulations, and industry practices concerning the oil and gas industry. 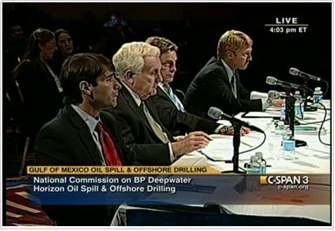 The first order of business for the Commission was to carry out the directive in the Executive Order to “examine the relevant facts and circumstances concerning the root causes of the Deepwater Horizon oil disaster.” They instructed the Commission‘s Chief Counsel Fred Bartlit and his investigative team to provide “the most comprehensive, coherent, and detailed account of the events leading up to the blowout and explosion” of Macondo, the name of BP’s offshore prospect in the Gulf of Mexico in the sector called the Mississippi Canyon Block 252, or MC252 where BP was drilling at the time of the accident. 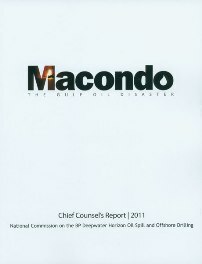 The result was this report, Macondo: The Gulf Oil Disaster. Chief Counsel’s Report 2011, which provides additional details and documentation supporting the findings in the Commission’s final report. For trial watchers, this publication is a must-read as much of the initial documentary evidence is included. 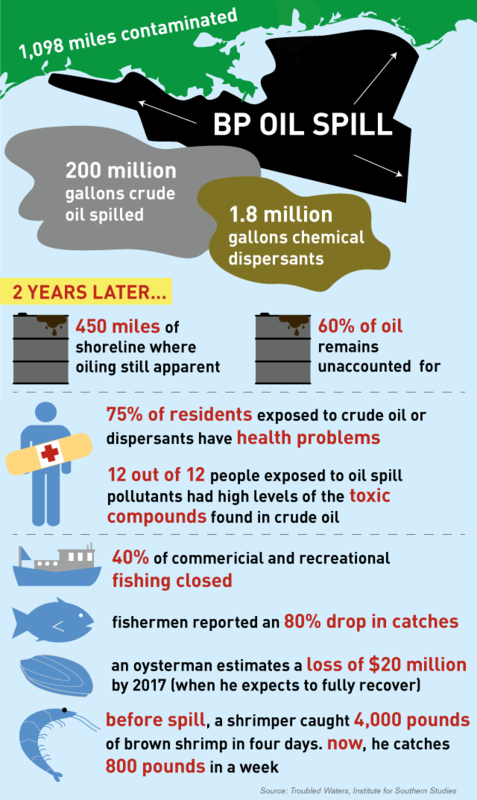 The second and final report is the best-selling Deep Water: The Gulf Oil Disaster and the Future of Offshore Drilling, Report to the President, January 2011. It not only offers the full account of what happened in the Gulf of Mexico on April 20, 2010 and why, but also offers recommendations on proposed actions, changes in company behavior, reform of government oversight, and investments in research and technology that will be required to avert future disasters. In Part I: The Path to Tragedy, “Chapters 1 through 3 describe the events of April 20th on the Deepwater Horizon, and, more important, the events leading up to it in the preceding decades—especially how the dramatic expansion of deepwater drilling in the Gulf was not met by regulatory oversight capable of ensuring the safety of those drilling operations. In Part II: Explosion and Aftermath: The Causes and Consequences of the Disaster, Chapters 4 through 7 lay out the results of the Commission’s investigation in detail, highlighting the crucial policy-related issues: the specific engineering and operating choices made in drilling the Macondo well, the attempts to contain and respond to the oil spill, and the impacts of the spill on the region’s natural resources, economy, and people—in the context of the progressive degradation of the Mississippi Delta environment. In the final section, Part III: Lessons Learned: Industry, Government, Energy Policy, Chapters 8 through 10 present the Commission’s recommendations for reforms in business practices, regulatory oversight, and broader policy concerns. “The explosive loss of the Macondo well could have been prevented. The immediate causes of the Macondo well blowout can be traced to a series of identifiable mistakes made by BP, Halliburton, and Transocean that reveal such systematic failures in risk management that they place in doubt the safety culture of the entire industry. To assure human safety and environmental protection, regulatory oversight of leasing, energy exploration, and production require reforms even beyond those significant reforms already initiated…to ensure [the regulators’] political autonomy, technical expertise, and their full consideration of environmental protection concerns. Will it help prevent another such disaster? Read these publications and decide for yourself. How can I buy these BP oil spill publications? It’s that exciting time of year again if you’re a publisher of Federal publications. It’s the equivalent of the Academy Awards, the Emmy Awards or the Grammy Awards… Well, maybe that’s pushing it, but when the American Library Association’s (ALA) Government Documents Round Table or GODORT convenes the Notable Documents Panel of its Publications Committee to choose the top government-produced publications of the previous year, we can’t help but get caught up in the excitement. Each year, this ALA GODORT Notable Documents Panel selects what it considers to be the most “Notable Government Documents” published during the previous year by Federal, state, and local governments and includes the list of winners in its prestigious Library Journal (LJ). This year, as usual, many of the Federal publications the panel selected are available through the Government Printing Office’s Federal Depository Library Program (FDLP) libraries and GPO’s Sales Program. The Statistical Abstract of the United States, published since 1878, is the standard summary of statistics on the social, political, and economic organization of the United States. It is designed to serve as a convenient volume for statistical reference and as a guide to other statistical publications and sources. The latter function is served by the introductory text to each section, the source note appearing below each table, and Appendix I, which comprises the Guide to Sources of Statistics, the Guide to State Statistical Abstracts, and the Guide to Foreign Statistical Abstracts. And a hearty congratulations to all the winning Federal agency publishers for an excellent job! How can you get these publications from this year’s Federal Notable Government Documents collection? Buy any of these publications online 24/7 by shopping the Notable Government Documents 2012 collection at GPO’s Online Bookstore. Find these publications in a library near you.